Read our recent 2 week Wapiti filming trip post here. Wapiti (some folks call them Elk) in New Zealand are the only free range herd outside North America, gifted to NZ way back in 1905 by US President Theodore Roosevelt . 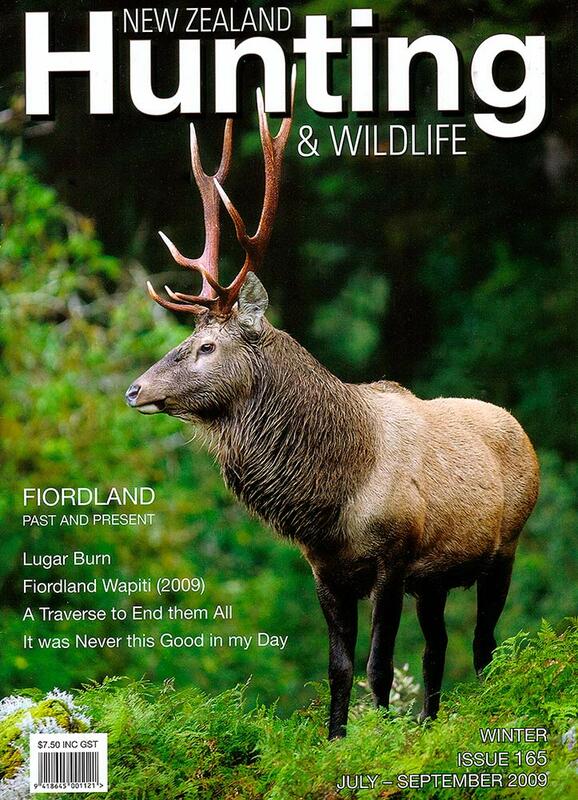 The Fiordland Wapiti Foundation is a large group committed to managing this special herd in Fiordland. 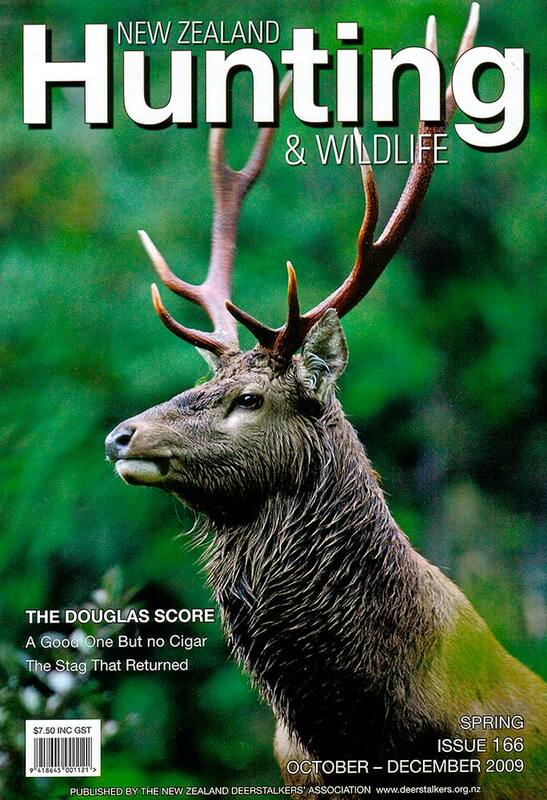 Update 30 Sept 2009: Just had another 2 covers of Hunting & Wildlife to come home to. Both these shots were very lucky to get, but very satisfying from the hard work involved. They were taken during the expedition I did earlier this year into Fiordland. I also found a cover I did for the same magazine way back in 1997! 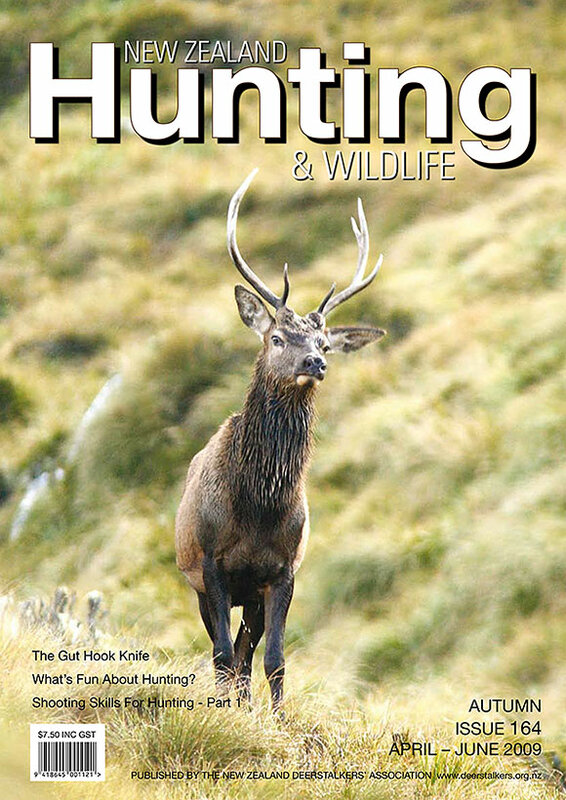 Spring 2009 cover. Again, a nice young wapiti bull photographed on the bush edge at last light in Fiordland National Park. Winter 2009 cover. Nice young wapiti bull that had never seen humans before. Taken at last light in a tiny hanging valley called Impossible Creek. 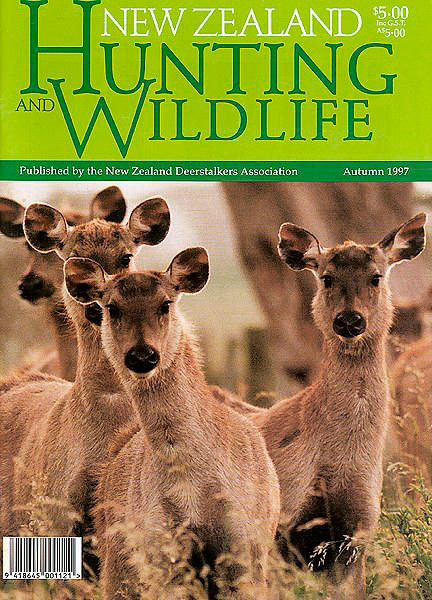 Sambar deer hinds (Cervus unicolor) surprised in long grass in the Manawatu. Nice work Rob, I know how hard it is to get that close! You're reading New magazine cover..look who came to breakfast….. at Nature’s Pic Images Blog.